Pineapple Punch automatic is a high quality autoflowering cross of a classic fruity pineapple strain and a powerful grapefruit variety. As the name suggests, Pineapple Punch is a beautifully sweet and tropical blend of the exotic with a thick coating of resinous THC crystals. This superb automatic delivers vigorous growth for an autoflowering variety. 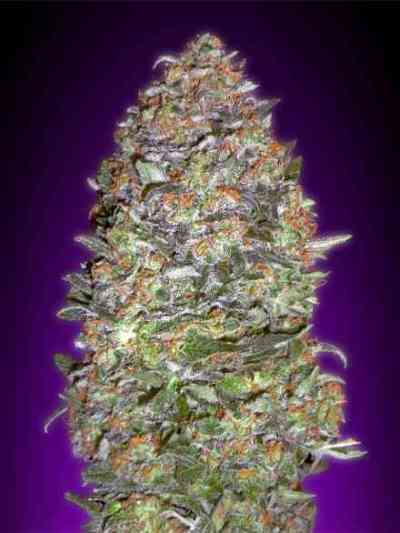 Pineapple Punch is an indica dominant plant in stature with reasonably wide fan leaves and dense fat sticky buds. As expected the smoke is sweet and fruity with hints of both pineapple and grapefruit and the stone is a typical Indica couch lock. It can be ready in as little as 65 days from seed, but 70-80 days are recommended to bring out the full bouquet of flavours. Connoisseurs who enjoy extra flavour in their autoflowering strains will certainly appreciate the outstanding taste that Pineapple Punch delivers.